Unbound is a UK publisher and funding platform founded in 2011 by John Mitchinson (ex-Waterstones marketing director, publisher at Harvill Press and author), Justin Pollard (author and historical consultant on numerous feature films and BBC TV series), and Dan Kieran (author of the bestselling Crap Towns series of books – a rough guide to Britain’s worst towns). Since the company was founded, it has benefitted from investment from Cambridge Angels, DFJ Esprit and Forward Investment Partners. The three writers founded Unbound for very specific reasons. Creating bestsellers is the main focus of all the major publishers. This is why celebrity biographies, TV tie-ins and genre fiction dominate the displays and promotions in major book retailers, but what do you suppose happens to the books that don’t fall into those categories? Very little is the honest answer. Nor does the traditional publishing process give readers any insight into the writing process or help to build a closer relationship between a writer and their readers. Unbound has been developed to do just that. Unbound allows authors to pitch a book idea for consideration (fiction or non-fiction), and once a book pitch is accepted, it is presented to Unbound’s reader community for support and funding. Unbound sets the budget to produce and market the book, and if enough readers contribute to the book’s funding over a period of time and the target is reached, the book is published. The model of business used is a blend of traditional publishing and crowdfunding, rather than just a singular focus on the financing of a project like Kickstarter, or the funding and production of a book like Pubslush. Unbound is a publisher that happens to use a funding platform, rather than a crowdfunding platform suitable for book publishing. It’s an important distinction and visitors to the Unbound website will appreciate that the company is driven by the publication and sales of books. It is refreshingly transparent about its method of business. Unbound has published books by Kate Mosse, Julie Burchill, Jonathan Meades, Chris Yates, Robert Llewellyn, Terry Jones, Amy Jenkins and Paul Kingsnorth. 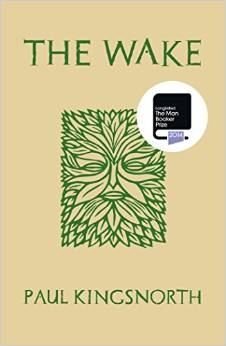 Kingsnorth’s 2014 novel The Wake became the first crowdfunded novel to be longlisted for the prodigious Man Booker prize. You can find out about the three founders of Unbound and its team of publishing professionals (full-time and freelance) who work for the company. There is no upselling of publishing services. Unbound is fundamentally a publisher, not an assisted publishing service. The author does not pay for publication. However, the author is expected to actively promote the crowdfunding and promotion of his/her book when possible. Let’s first look closely at how Unbound works. You can read the full details here from the website. Unbound welcome new and talented authors but also work with agented authors. If a submission is accepted, the author will be offered a contract. This contract is not set in stone and is open to negotiation. The publisher’s editorial, production and marketing teams will cost the book and agree on an initial print run. The final budget will be the crowdfunding target presented to the Unbound reader community. A marketing plan will be finalised and a video shot and edited to accompany the crowdfunding project before it goes live on the Unbound website. Our editorial team review all projects to determine the cost they will need to raise in order for Unbound to publish them. This varies depending on the type of project. The average cost for text only books is around £15,000 whereas illustrated, photographic books cost considerably more. The costing includes everything from copy editing, editorial, production, marketing and distribution into the trade. I believe Unbound’s model of publishing best suits an author with a strong fan base, comfortable using social media, and confident about promoting his/her work. Without a fan base, I have serious doubts about whether Unbound (or any crowdfunding platform for that matter) is the right choice for an author with a work of fiction. Unlike crowdfunding platforms, Unbound rate the progress of a project by percentage, not publicly in monetary terms. I think there is a great deal of difference using crowdfunding to raise the budget for a self-publishing project than there is to raise the considerably higher budget for a traditionally published book. Unbound’s figure of £15,000 for a text-only book looks pretty accurate to me. Many small to medium-sized publishers would suggest the real figure is somewhat higher, between £15,000-25,000. Whatever the exact figure, this is a tall order to achieve even for an author with a reasonably strong fan base. There is a notable point made in Unbound’s FAQs regarding the crowdfunding process and the involvement of the author once a book submission is accepted. We find our model works best for authors who are open to self promotion – that can include social media, events, talks, and promoting the project to their networks. Up until 70% funded we act as your funding platform and it is up to the author to lead the funding campaign but we will help you with the marketing plan. After a project reaches 70% we act as your publisher and will be more active in promoting and marketing the project to reach 100%. This sounds like if you are close to the finishing line, Unbound will do their utmost to get you across the line, but your crowdfunding project will already need some serious momentum behind it by the 70% stage. The Unbound contract states that the crowdfunding period will last for 90 days, but there will be flexibility on a time extension depending on how well the funding project is progressing. In the event the funding does not reach its target, readers are refunded their pledges. Since Unbound was founded in 2011, it has successfully funded and published 54 books. There are currently 5 books funded by more than 50%, and 36 books below the 50% funding target. According to this article in the Telegraph UK, each funding project on Unbound needs the support of about 2,500 reader/patron pledges — ranging between £10 and £250. There are various levels of support depending on the amount of each pledge; typically, £10 would provide the reader with a digital copy and access to the author’s community ‘shed’; £20, an additional limited edition hardback; the reader’s name mentioned at the end of the book as a supporter; a signed hardback edition; tickets to the launch party; or a personal appearance by the author (about £750). The ‘shed’ is a private area on the Unbound website where readers who pledged money have exclusive access to the author and can keep updated on the book’s progress. Readers are also welcome to submit an idea for a book and Unbound will sometimes approach authors and invite them to write books based on ideas pitched. It’s an innovative way to involve the reader in the creation and evolution of a book from idea to final publication and beyond. Once a book hits its funding target, the production and publication process begins. Some notable points when authors publish with Unbound. 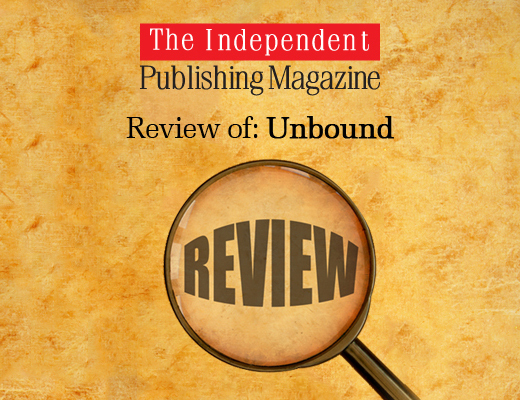 Unbound has harnessed a subscriber readership of 50,000 members, but it is worth considering the figures quoted above — 2,500 reader patrons per book, across 54 titles. I would have expected the total subscriber figure to be a lot higher than 50,000. It makes me wonder how many Unbound readers remain in the eco-system once their author’s book is published. That said, Unbound is geared and targeted towards readers as much as it is for authors, and this is to be applauded. I’m still concerned that there is an internal self-serving eco-system at work here — authors attracting readers to Unbound, rather than Unbound attracting readers as a publisher. This is my biggest hang-up about Unbound — birds of a feather flock together. It’s something I see a great deal of within the self-publishing community. Publishers are also invited into the Unbound funding community and can host their own ‘channel’ and feature new books or limited editions of backlist titles. I like Unbound a lot. It’s a publisher, but it has also tried to combine so much of what is influencing and changing in the world of publishing today — embracing digital and social media, author entrepreneurship, and disintermediation in the book trade. There is far less of a gatekeeping culture. It’s created a publishing imprint that removes much of financial risk for the publisher, lowers the bar of acceptance for authors, and creates a synergy early in the creative process between the author and his/her readers. When Unbound fully launched, it planned to publish up to 40 books a year, but it’s clear that some funding projects simply don’t achieve their target after acceptance. The publisher has attracted some strong author names with quirky, non-mainstream books and this is where its biggest success lies. The author’s platform is critical to the launch and publication of an Unbound book. The vast majority of Unbound authors have only published one book with the publisher; a few authors have published two books. I can see ideal situations when Unbound would be the perfect publishing solution for an author, but I can also think of a lot more book projects which would not be suitable. Unbound’s model of crowdfunded publishing works ideally when reader patrons are involved in a project from an early stage. It may also be far better suited to non-fiction, though the publisher has had success with novels, notably Paul Kingsnorth’s novel which made the Man Booker Prize longlist this year. I can also see a difficulty if an author submits a single book, but it’s part of a series of books, whether the first book in the series or not. I also think that just because an author considers crowdfunding an option to finance publication of a book, it doesn’t mean Unbound is automatically a better option because it’s also a publisher. It’s likely a self-publishing author’s budget is going to be considerably less than the £15,000+ required in pledges to publish with Unbound. So, Unbound isn’t suitable for a lot of authors, but over three years it has blended crowdfunding into its publishing eco-system in a highly innovative way. Traditional publishers big and small could learn a great deal from the manner in which Unbound has found a way to bring readers closer to authors during and after the writing and publishing process. I’m a published author with two novels under my belt and a third currently undergoing publication, and something the manager of my local Waterstones said to me a couple of weeks ago prompted me to take a look at Unbound. Since then, I’ve been in and out of their website to see what it was all about. I’ve been writing for twenty-five years and I didn’t want to rush into something that – while a clearly very modern and up-to-date concept (at least as far as the crowdfunding aspect is concerned) – looked, and felt, quite alien to me. I decided to leave it until after Christmas before I started to look at Unbound seriously, and – now it’s Boxing Day – I started to take another look. This is when I came across your post on Google. I really appreciate the comprehensive information you have given out about this publisher. Your article is excellent. It answers all my questions, and then some. On balance, I think I’m better sticking with my present publisher, whom I now know very well. They are not perfect, but then, what publisher is? Thank you. I’m most grateful to you.